I began to worry my blog was beginning to bore with my twin obsessions around food and diet & exercise so thought I’d explore other topics one might associate – in a Family Fortunes** kind of way – with weddings. Now, fascinators are the absolutely obvious solution. You don’t want the over formality of a hat, but you want to mark the formality of the occasion. 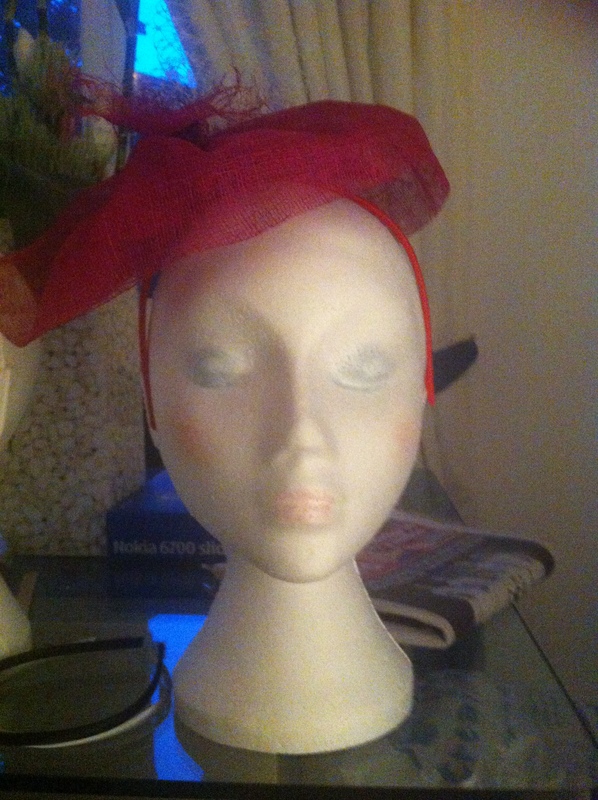 So, a pretend hat (and I do not denigrate the fascinator in any way by calling it ‘pretend’) is an absolute must. The other point with fascinators is of course they are kinder to hairstyles; hats flatten and frizz your carefully coiffed tresses. Fascinators merely slot in to whatever way you’ve chosen to wear your hair (and back here to the handy online tutorials how to straighten your hair and not damage it) and are a lot easier to match to your, say, earrings. On that note, you’ll like how I’ve done this piece of subtle marketing, my sister-in-law makes fascinators! Mm-hhm she so does. The one pictured in this post was made by her and if you’re after a fascinator, you’ll see more pictures on this site. **Y’know, “We asked 100 people what they thought ladies might wear at a wedding and they said”, fill in the blanks. ***It also means fascinating person.